Do you recognize this image? Some of you might know what it is right away. 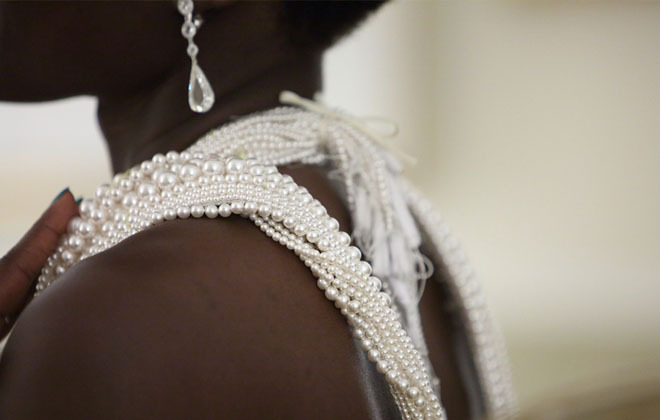 It is a close up of the gown that Lupita Nyong’o wore at the Oscars last Sunday. A stunningly beautiful, handmade creation by the team at Calvin Klein. When I saw her walk onto the red carpet in that dress, it truly took my breath away! I think Lupita is Best Dressed. Ever. Period. You might recall last year when Lupita stunned in a heavenly creation by Prada. I thought that was as good as it gets. This year, she outdid herself. Her dress was a wonderful collaboration between Lupita, and the amazing designer Francisco Costa, who is the creative director at Calvin Klein. 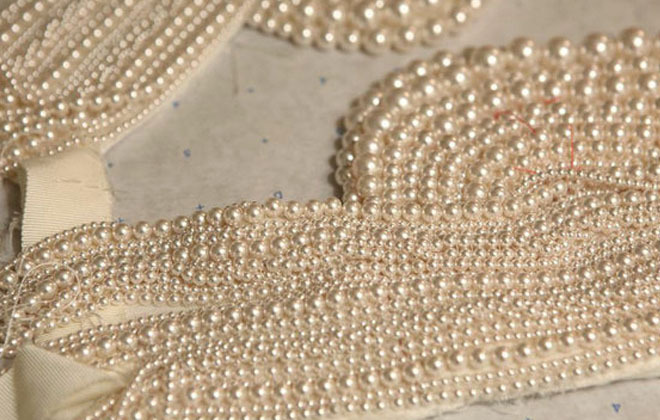 This custom pearl and ivory beaded gown took 25 people 10 weeks to hand sew the creation and is comprised of over 6,000 pearls. She wore diamonds and pearls…All photos from the Calvin Klein Collection. 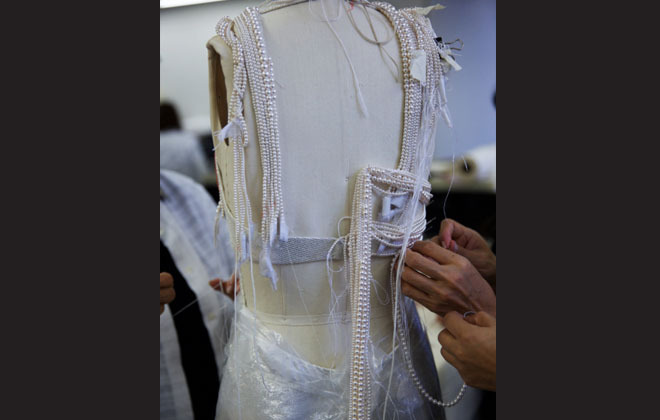 Says Costa of the dress, “from the onset, I wanted the dress to be graphic, yet warm and luxurious.” He achieved that sense of luxury by “creating a series of textures with intricate placements of a variety of different-sized pearls,”. In the series of photographs from the Calvin Klein Collection shown here, you can see the amount of detail and layering they did manage to achieve with this design. 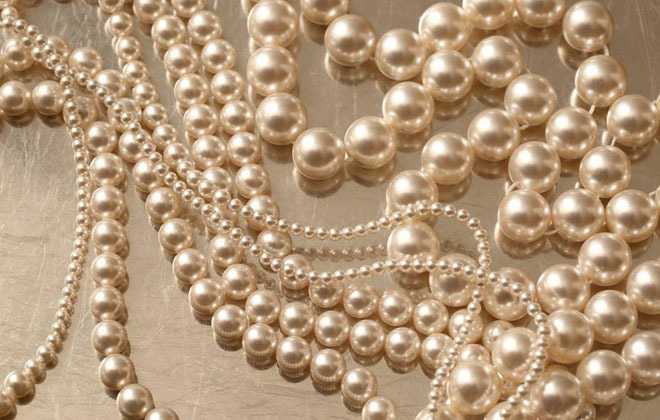 It is magnificent to me how the pearls lay so naturally on the dress as if pearls were always meant to do this. It is a design concept that could have failed miserably in the wrong hands, but this dress is just better than anyone could have dreamed. Francisco Costa, Lupita, and her stylist Micaela Erlanger. Photo courtesy of Calvin Klein Collection. Lovely Lupita on the red carpet. Impeccable! I just love this dress. Lupita on stage at the Oscars. The amount of time, money, and labour, not to mention the creative vision to create such a dress is mind boggling. These days, award ceremonies and Hollywood stars seem to be the only place once can really appreciate couture off the runway. I think it is worth all the collective effort when a dress is done like this one. This will be one for the history books.